Emphasizing the importance of strategic leadership, Strategy and Management for Competitive Advantage presents a comprehensive approach to strategy development that stresses the importance of trade-offs and fit in achieving and sustaining a competitive advantage. Participants of this strategy program will discuss a variety of options for growth — including alliances, acquisitions, and internal corporate ventures — and leave with well-tested tools and frameworks to clarify and enhance their strategic thinking. Formerly this program was called Creating and Implementing Strategy for Competitive Advantage. Strategy and Management for Competitive Advantage shows participants that leadership is an essential part in both the creation and implementation of a strategy, says Academic Director Nicolaj Siggelkow. Professor Nicolaj Siggelkow explains how having a competitive advantage helps a business. In today’s global economy, the most difficult challenge executives face is creating a competitive advantage — and maintaining it. A disciplined focus on strategy has become crucial for success. Strategy and Management for Competitive Advantage helps you evaluate your current strategy and provides you with the tools to create and implement new strategies. Wharton faculty, led by Harbir Singh and Nicolaj Siggelkow — co-directors of the Mack Institute for Innovation Management — apply their field-based research and the latest strategic insights to help you broaden your perspective on how to make your organization more competitive. You will come away with well-tested tools and frameworks that will clarify and enhance your strategic thinking. The program also introduces participants to Connected Strategy, a new model based on the technology-driven ways firms are now able to connect with customers. A day-long session on the topic is taught by pioneers in the field who are currently engaged in a large-scale research project — supported by the Mack Institute for Innovation Management — to understand more deeply the business ramifications of connected strategies. Through highly interactive lectures, exercises, and case studies, both in the classroom and in smaller work groups, this deep dive into strategy will help you understand the latest developments in creating competitive advantage and apply them to your organization. A highlight of the program is the Strategy Audit, a powerful tool that provides a systematic way to analyze your firm’s strategy through a comprehensive analysis. The audit will help you and your team assess both current and future strategic initiatives. Additionally, exercises include mapping a firm’s “system of interconnected choices” to depict core and supporting activities and their interdependencies. These strategy maps help managers understand underlying trade-offs, prioritize resources, and anticipate the ramifications that arise when firms engage in change initiatives. 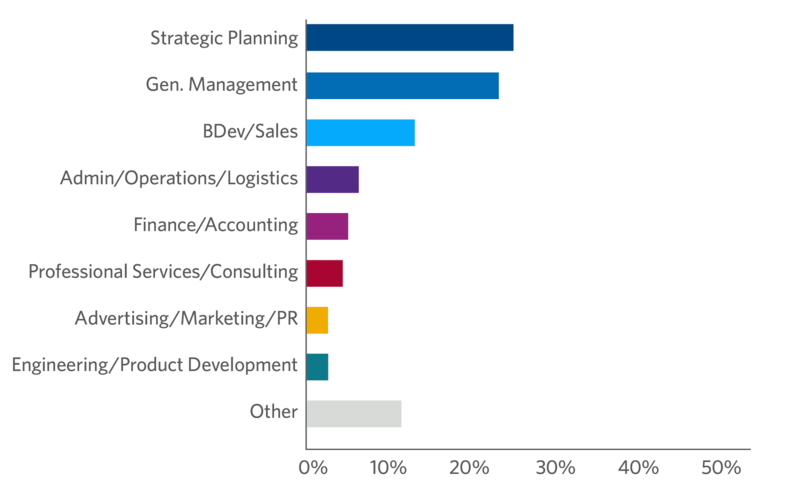 What is a strategy audit? Professor Nicolaj Siggelkow explains. Many industries are currently being disrupted by a range of technological developments that are enabling new business models. From the sharing economy to robo investment advisors, remote health care operation to peer to peer payment systems, these developments are changing the ways firms connect with their customers or how they connect customers with suppliers. What is Connected Strategy? Professor Nicolaj Siggelkow explains. Instead of a few episodic interactions, connections are becoming more continuous, with companies providing services and products as the needs of customers arise. Both incumbent firms and new entrants are trying to compete and reshape their industries by creating Connected Strategy. This program brings participants to the front lines of this new strategy model. Exercises will help participants think about their own businesses and industries and the ways they are currently connecting with customers. They will examine new companies and business models and how they are connecting, and brainstorm new initiatives to create more connected strategies. The Magic Band: A real-world example that illustrates Connected Strategy in action. Strategy and Management for Competitive Advantage is designed for mid-level to senior-level executives responsible for strategy planning, implementation, and business development. Executives who are moving into this role and wish to get a head start on the process will also benefit. Participants in this program are a diverse group of strategy leaders from varied industries, backgrounds, and geographies who share their biggest challenges with the class. Faculty tailor the program content to address these issues, so participants enjoy a learning experience that truly resonates with them and meets their learning needs. Participants leave the program with an expanded peer network, plus specific tools and frameworks they can use to make a meaningful strategic impact within their companies or organizations. How does Connected Strategy help competitive advantage? Connected strategy allows a firm to create a competitive advantage by creating a much deeper relationship with a customer. That deeper relationship allows a company to fulfill a more fundamental need for that customer. Once you are able to fulfill this more fundamental need, that customer will be less likely to switch to a competitor, and that is really a source of sustained competitive advantage for a firm. In many industries, what we are seeing is a process we call strategic convergence. Other people might call it competitive parity. And really what happens is that companies that copy each others’ best practices, they become more efficient but they’re also becoming more and more similar.” “And so there’s a bit of an irony here. Because all the metrics that companies are looking at, their quality goes up, their cost goes down, look good. At the same time, though, their profits don’t go up. And the problem is, because we have the strategic convergence, we’re ending up with firms who are very, very efficient but completely identical in the eyes of the customer. That leads to profit pressures and that’s really the problem of convergence or competitive parity. What are two fundamental types of competitive strategies? There are two fundamental competitive strategies: Differentiation and Low-Cost Leadership. Differentiation: This is a firm that tries to create a competitive advantage by pushing up the willingness to pay that the customers have for their product or service. Think about it as pushing up the value that a customer sees in a product. Low-cost Leadership: This is a firm that tries to create a competitive advantage by lowering their costs, either by having big-scale economies or maybe having a big learning curve effect. I’ve worked in the power sector my entire career. When I joined Cuestamoras in 2014, it was to establish an energy company and grow the business regionally in Central America and Mexico. I attended Wharton’s Competitive Advantage program after I began to see a change in the dynamics of the energy markets in the region — government policy initiatives were leading to an expansion of renewable generation, and coupled with lower international oil prices, power prices were dropping to 50 percent of what they used to be. We needed to rethink our day-to-day business strategy. My industry is capital intensive — it’s based on a long-term view since you are looking at assets that have lifespans of up to 25 years, and in the case of some renewables, upwards of 50 years. These market dynamics require a more structured way of looking at short-term volatility and other changing factors. 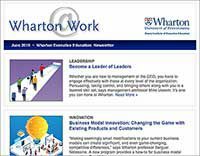 Wharton’s Competitive Advantage program gave me a framework to engage people who are involved on the team to reevaluate our commercial strategy to determine how best to establish and maintain a competitive advantage over the next 10 years. Two other corporate executives took the course after me and we are now implementing the competitive advantage methodology in all three of our businesses. It’s been implemented in two — energy and health/pharma — with the urban development business to follow next. Wharton professors gave us methodologies and frameworks we were able to apply practically through case studies. This program is ideal for small companies or startups facing a lot of competition and looking for ways to execute a sustainable strategy that will differentiate them from competitors." A key takeaway of Wharton’s program is focusing on the structure of the strategy process and how to arrive at a strategic decision — how to best outline, prioritize, and present a strategy to the leadership team and to decision makers to move that strategy to the next level. The framework and decision models we learned were very beneficial. At Hershey Entertainment & Resorts we own and operate a number of businesses, all located in Hershey, Pennsylvania. These businesses include an amusement park, luxury hotel, conference center hotel, camping resort, country club, spa, independent restaurant group, AHL hockey team, and other entertainment and leisure businesses. Our biggest challenges are the market dynamics and the continually changing business landscape — in our case, guest expectations married with our financial expectations as we look at how to continue to grow and what areas to grow in. How do we position our businesses that best leverage our strengths, and how can we expand on those business strategies? The day before I left to attend Wharton, we finished our budget for 2016, so the timing was perfect to go out and start applying these concepts. I would recommend this program to decision makers who have multiple businesses, or leaders whose scope crosses a lot of different landscapes. For example, IT would be a great fit to attend this kind of program." I recently took on a new strategy role covering our U.S. operations, and I wanted a refresh of my strategic planning skills and some more up-to-date frameworks. 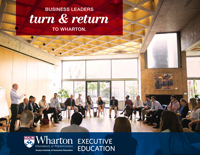 The quality of Wharton’s faculty really stood out — they were incredibly impressive, very experienced and engaging teachers. There were a lot of good leadership lessons coming from the content. Those leadership lessons stuck with me, and I refer back to those all the time in terms of how I approach a particular issue or problem in the organization and my ability to influence people to make the right decision. At AXA US we have a very growth-oriented strategy focused on how to grow our business within key customer segments. 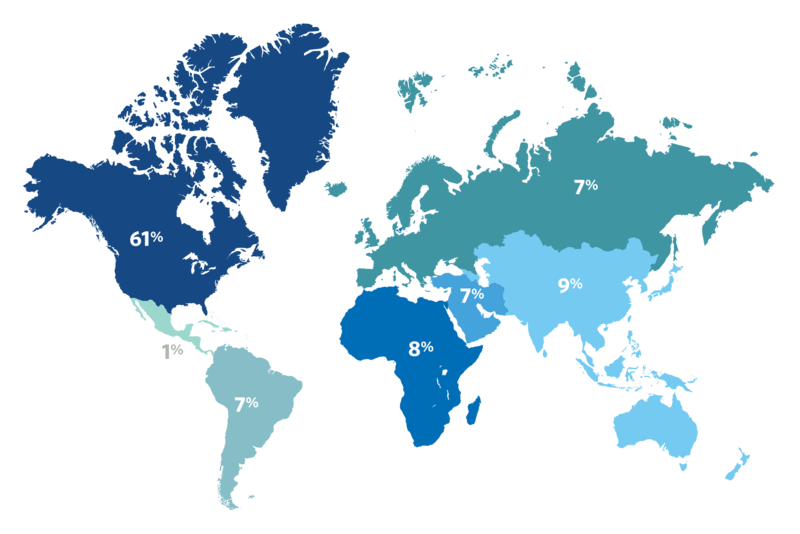 We believe the opportunity we have in this market, and the demand for our products and services, has never been greater. We have a pretty large regulatory change coming that is still uncertain and we expect will cause challenges across the industry. I’ve applied frameworks used in Wharton’s class to practical problems and opportunities we face – the frameworks have enabled me to draw different conclusions than I would have traditionally done without the course. I would definitely recommend this program to senior people who are transitioning into a strategy role." The week I spent in this program was one of the more productive weeks of my career. The program is a near-perfect blend of diverse faculty, current and relevant theory, and solid fundamental strategic analysis. The tools I acquired will pay dividends for years to come." Shane PeeryChief Financial Officer, Cherokee & Walker, Inc. Still considering your options? View programs within Strategy & Innovation or use our Program Finder.